Days of the oppressive heat dome have left people across the country feeling more than a little hot under the collar. Your air conditioner may be your best ally during a string of hot summer days, turning a stuffy space into an oasis from the heat. These tips apply to both portable and room air conditioners. Don’t go too low: Your air conditioner doesn’t need to be set at a high level if nobody is going to be in the room for a while. Set it at 75-80 degrees if you’re going out. You’ll keep the room cooler and cut power consumption. Keep it steady: While oppressive heat will make you want to crank up the AC, it’s inefficient to try to cool the room all at once by setting your AC to the maximum level. Start earlier in the day when the temperature outside is lower and allow the room to cool slowly. Block out the sun: Give your AC unit some help by drawing the shades or blinds to keep the sun—and the heat—out of the room. Clean equals cooler: Check your air filter twice a month and clean it when necessary. Excess dirt and debris can reduce the efficiency of your air conditioner. Filters can be cleaned with lukewarm water and mild dish detergent. Accessible parts can be carefully cleaned with a vacuum and brush attachment. Stick with cooler activities: Make it easier for your AC unit to do its job, and avoid activities that heat up the house, like cooking or laundry, during the hottest hours. Let nature do some of the work: Has the temperature outside dropped? Take advantage of the break in the heat, turn off your air conditioner and open the windows. Use the unit fan and portable fans to bring the cooler outside air inside. If your air conditioner still doesn’t seem to be keeping the room cool, it’s possible that your AC unit may be too small for the size of the room. Grab a tape measure, paper and a calculator and use AHAM’s online room air conditioner worksheet to find out how powerful a unit you’ll need. 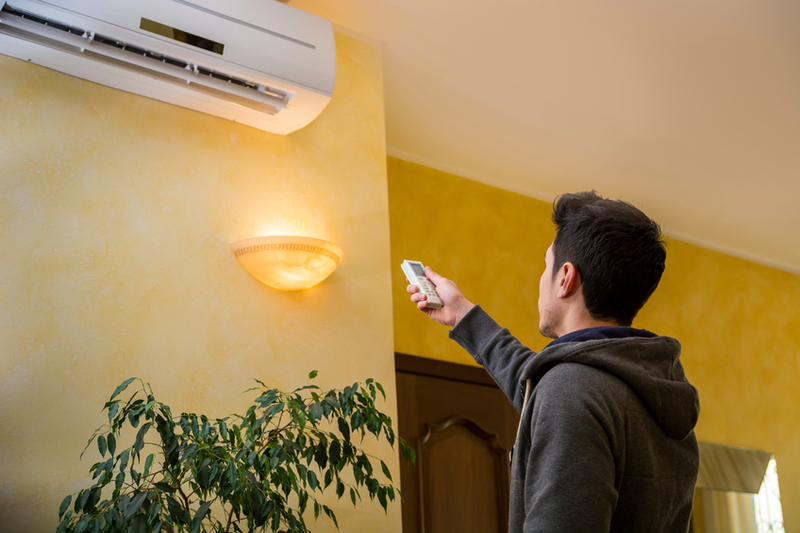 If you’re in the market for a new air conditioner, learn the differences between room and portable air conditioners. Still sick of the heat? Autumn is less than eight weeks away. You’ll be dusting off your heater soon enough!